The first hard rock robots movie! 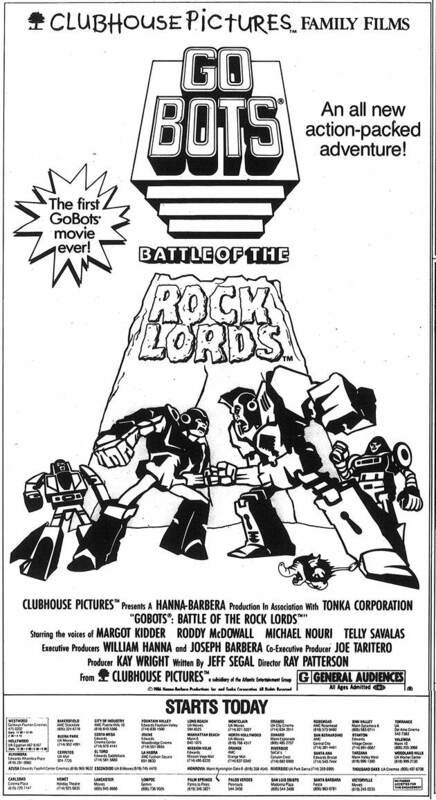 With all the great stuff that came out celebrating the 25th anniversary of The Transformers: The Movie I forgot that this year is also the anniversary of GoBots: Battle of the Rock Lords. 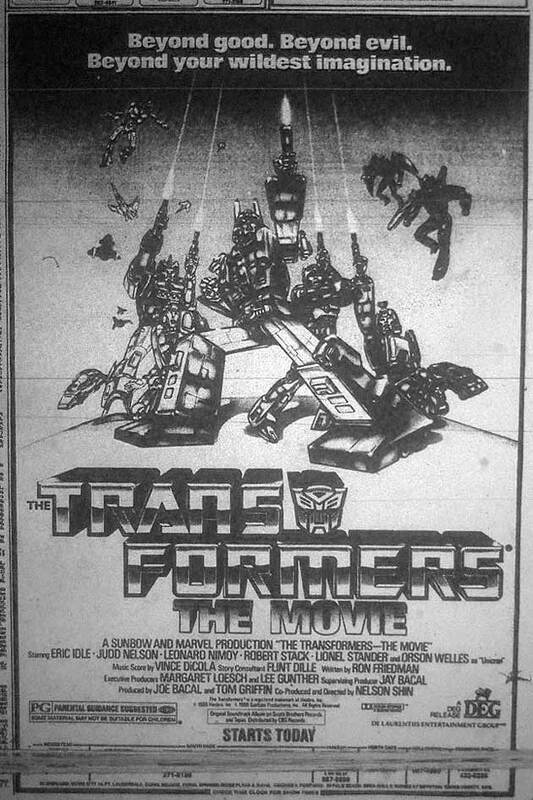 I ran across the newspaper version of the BotRL theatrical poster from its opening day (March 21, 1986)*. I don't remember seeing this one as a kid, or if I did it didn't make much of an impression. I wouldn't say it's a terrible ad-it's just the worst looking newspaper ad for an animated movie I've ever seen. It looks like all they did was rip out a page from a coloring book and call it a day. Actually this art does have its origins somewhere else. The original GoBots Battle of the Rock Lords theatrical poster it came from is pretty nice looking in full color but it suffers here in the transition to black and white line art. 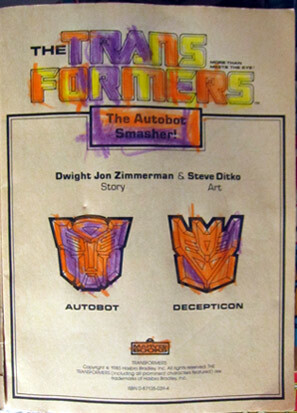 I don't know why they didn't go with a greyscale version of the color poster like what was done for The Transformers: The Movie in newspaper movie sections. 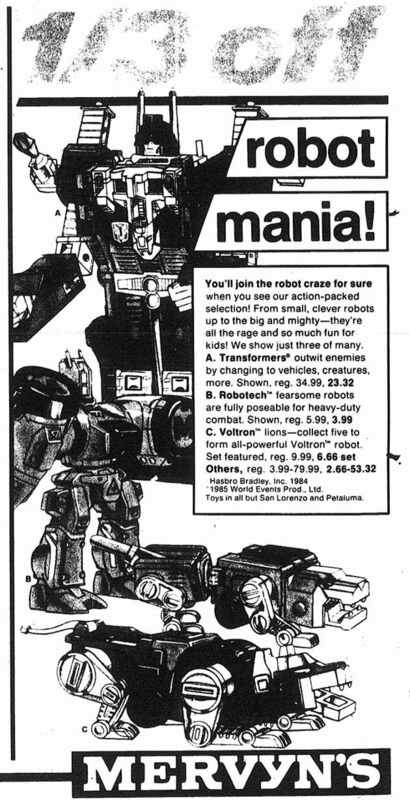 The GoBots newspaper ad consequently looks rather crude and lacking in sophistication by comparison. It's kind of odd considering they ran all sorts of nice greyscale promos for the GoBots cartoon and then this thing looks little better than an ad for a direct to home video 22 minute cartoon. Yesterday I went to Tate's, which is the greatest store of anything ever in the universe around here. I was looking to buy a Han Solo in carbonite ice cube tray but mostly I went to do a little recon before this weekend's big Halloween sale. Since my time in Florida is coming to an end I got a most proactively nostalgic idea. I asked if I could take some pictures and the Taters in charge said yes. I always wish I would have taken pictures of Lionel Playworld or Toys R Us back when I was a kid and I get the feeling I'm going to feel the same about Tate's after we move away. 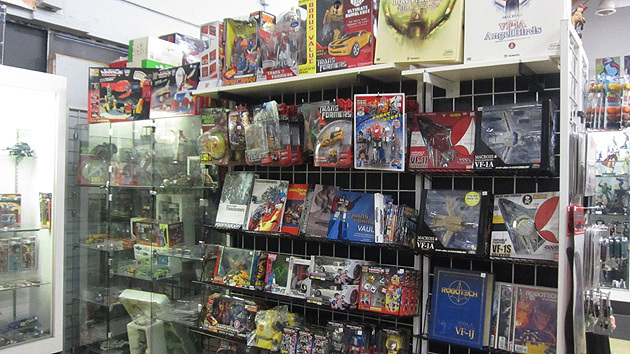 Actually I just wanted one last look at the place before everybody and their mom invades the store this weekend and packs the aisles tighter than the dealer room at DragonCon. Here then is a short robotastic overview of what I saw in terms of Voltronians, Cybertronians, warriors Shogunian, souls Chogokinian and even some Gundamonians during the week of October 19, 2011. ...Mega Bloks Gundam kits! Holy crap I'm not even into Gundam but I know this is something you don't see everyday at Toys R Us. I kind of wish the Transformer Kre-Os were more like this stuff. These models at least look like the classic Gundams and they're not all needlessly complex in their design like the robot mode Kre-O Transformers. Since I don't follow Gundamn I wouldn't have known these existed were it not for Tate's. 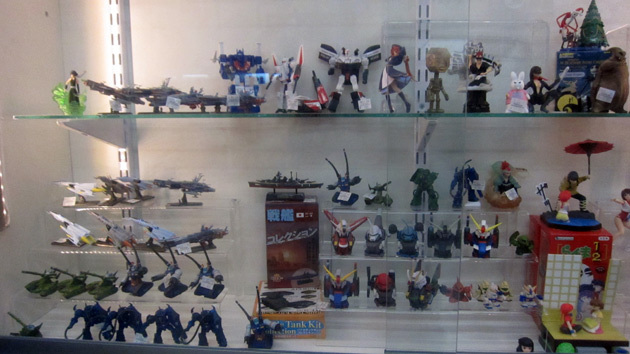 On the way to the robot figure displays I passed this glass case of what I think are Yamato and Gundam gashapon toys along with some recent Kabaya Transformers. 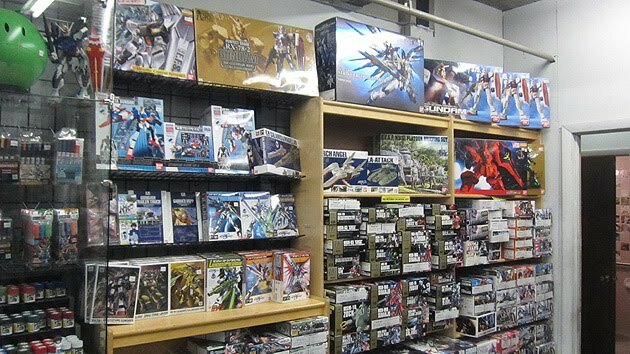 The presentation is really nice here with the clear step shelving showcasing the spaceships and Gundams. I was impressed that they had the Ultra Magnus, Jetfire and Prowl because that's the kind of stuff I only expect to see online. 8 bucks each is great especially since they're at least that plus shipping if you order them through the internet. It's nice to see these things in person but part of me wishes the boxes weren't absent. I'd bite if I could get all the packaging and the terrible candy I'll never eat along with the robots. But this display didn't look like it was totally finished yet so maybe they do have the boxes and they'll put them up later. Massive glass cases full of robots are part of the reason Tate's is the preferred destination for the discriminating toy robots enthusiast. The other part is all their Godzillas. Tate's understands that organization is important and they segment their selections accordingly. 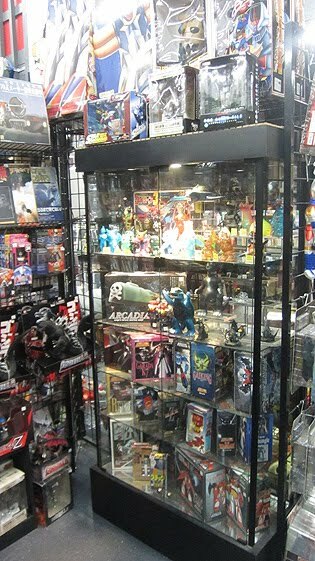 There is a method to the presentation here, unlike retail stores or even other comic shops that are satisfied with just lumping robots alongside action figures and super hero statues. No, Tate's knows that Japanese super robots deserve their own section and if anything else is to be displayed next to them it should be kaiju monsters. 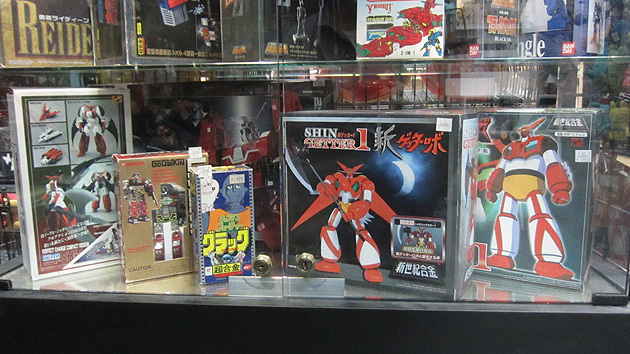 The super robot section was looking healthy with a whole bunch of Soul of Chogokin and robots of various vintages and superness. 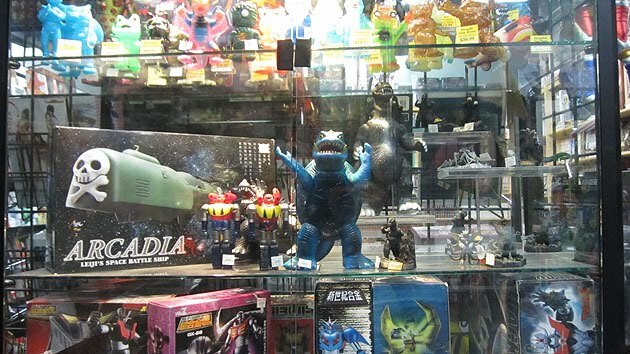 It may be hard to imagine from the pictures above but that wall of Godzillas is adjacent to the big glass display case of robots. I've tried to position the pictures with respect to how the actual layout is when you're at the store. There was some cool stuff buried in that glass display case so the following pictures go through it all on a shelf-by-shelf basis. Oh my god! Triple jumbo Grendizers all the way across the sky! They're so vivid! Up top is the jumbo scale stuff obviously too large to fit under the glass. Tate's made the tough call not to put the recent Shogun Warrior GoLion and Dairugger jumbos here but I think they made the right choice. Maybe. 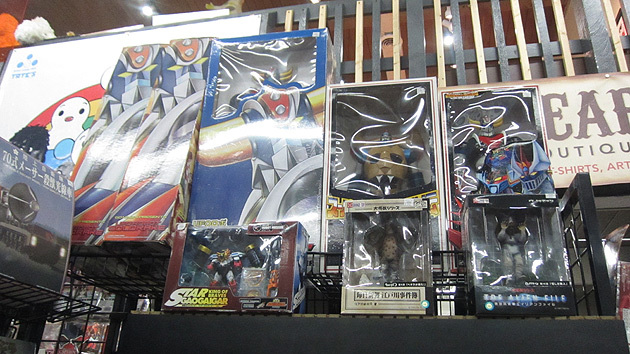 It's debatable whether those should be here or over in the Voltron section given that they're described as Shogun Warriors and not Voltrons on their boxes. 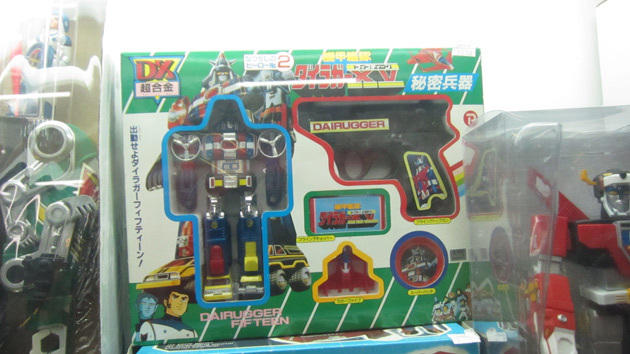 But then again, GoLion and Dairugger15 were never Shogun Warriors. But on the other hand, GoLion was a GoDaiKin so shouldn't the GoLion jumbo at least be in this section? This is obviously a huge topic of controversy here in the Kingdom Macrocrania. I don't know how I ever got any sleep last night. 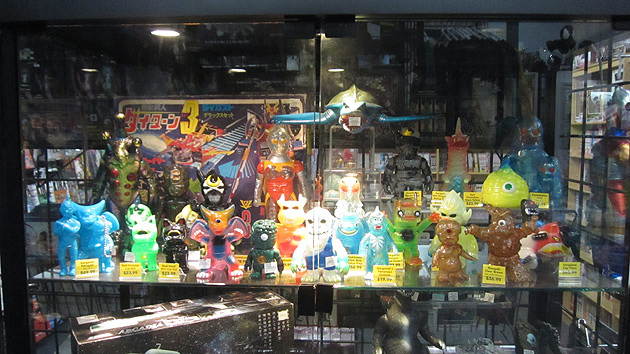 There's a Daitarn 3 back there among the kaijuices. I don't speak kaiju so my terminology might be a bit off. I don't know if those are Shogun Warrior 5 inch Poseidons or the straight up Popys. If they are Shoguns I can't tell what versions they may be from this shot. Honestly I didn't notice them when I was talking the picture so I didn't take a closer look. That's a smaller scale Dorvak Mugen Calibur (aka Roadbuster) hiding behind the SoC Garada K7. A whole lotta SoCing going on at Tate's. Some Xabungle on this shelf. I have a small Irongear in a box similar to that one but I'm not sure if the one I currently own is a bootleg. 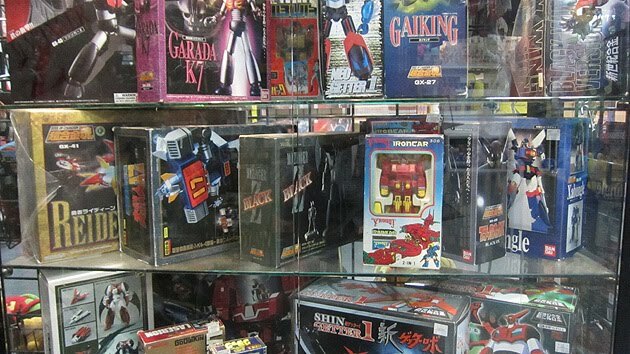 I also had that toy as a kid so I get all nostalgic when I see one but it's hard to tell if any of them are the exact same as my childhood one because there are so many bootlegs with similar boxes. The case goes out with a bang as a SoC Ideon and a GoDaiKin Laserion round out the final level of super robot fun. Those Ideons are a bit tough to come by nowadays. All in all this case was a pretty good show of Chogokin. 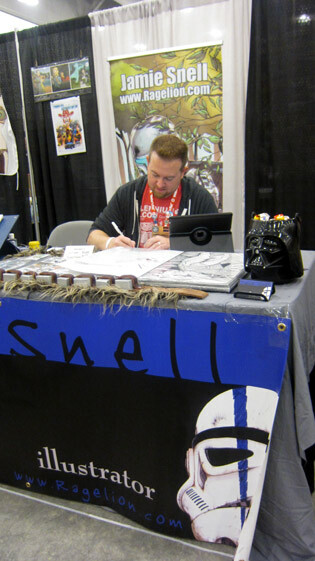 It was like a nice booth at MegaCon. Actually it was a bit better. Honestly if it weren't for the guests I'd never have a reason to go to any convention and instead I'd just come here and look at robots all day. NOW I ENTER THESE HALLOWED HALLS...A ROBOTS LOOKER! 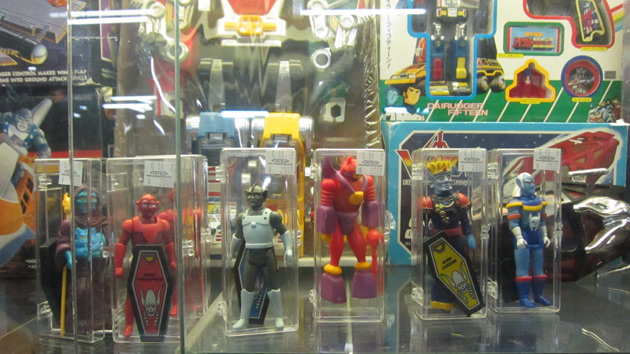 Meanwhile over in the area I like to call the American toy robots of Japanese toy robots section we have stuff from the great 80s cartoon robot shows. This wall here is dominated by Transformers and Macross. Some highlights include a nice sampling of Yamato 1/44 and 1/60 scale Valkyries featuring the 1/44 Angel Bird custom. There's a 1/55 Bandai Roy Focker and a whole bunch of Toynami masterpiece veritechs that got cropped out of the shot. There's the Takara reissue minicars set that has the Bumblebee with the remolded head and also some Binaltech Arcees. But the real star of this display is that glass case to the far left. 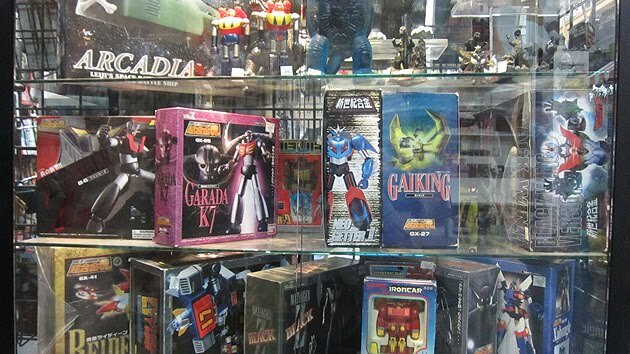 On the upper left is a straight on shot of the Transformers case. 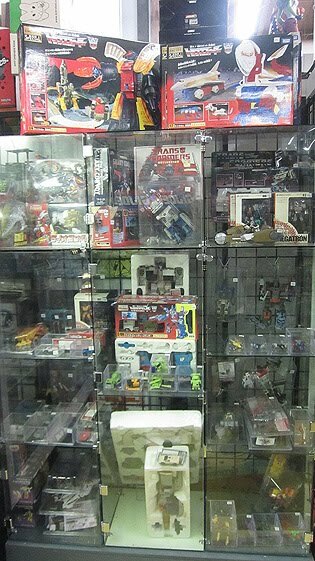 You can see how it's a nice selection of Transformers, mostly of '84 through '86 vintage but there are some more recent pieces in there as well. I imagine this is impressive enough to people who aren't extremely well versed on tronians Hasbronian but there is also something for the discerning toy robots archaeologist. If you know what you're looking at there are some pieces here that are of historical significance with mucho wow factor. 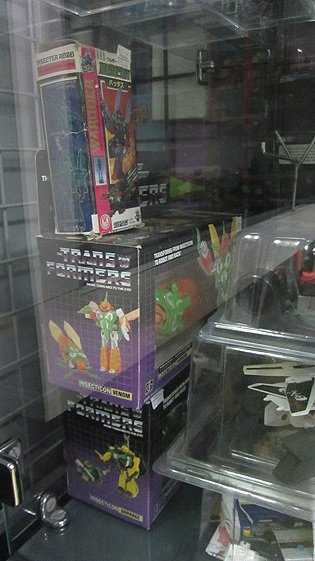 Like that Diaclone Insecter Robo Grasshopper type and the boxed Deluxe Insecticons he's on top of. You don't see that at K-Mart everyday. But here's the real Oh-holy-crap-what-is-this-thing-doing-here moment. That's a Milton Bradley Megatron. 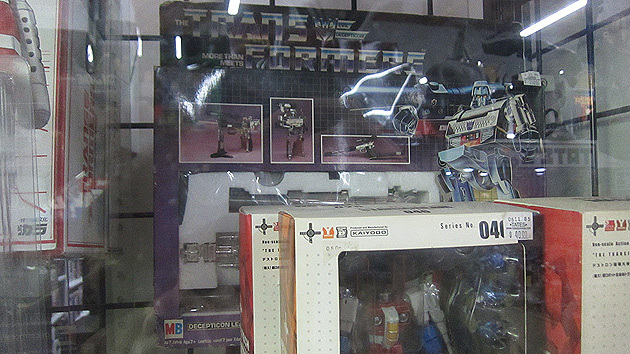 Over in Europe the first few waves of Transformers were released in Milton Bradley boxes but what makes Megatron special is that he was a mid-'85 release. So instead of getting two full Christmases worth of Megatron like we had in the states, Europe only saw Megatron briefly for a few months before he was replaced on the shelves by Galvatron. So this is one of the rarest Megatron packaging variations out there. What it's doing at Tate's I don't know but I'm learning to not underestimate this store's ability to get stuff that's not just nice but outright Transformer archaeologist historical artifact level nice. 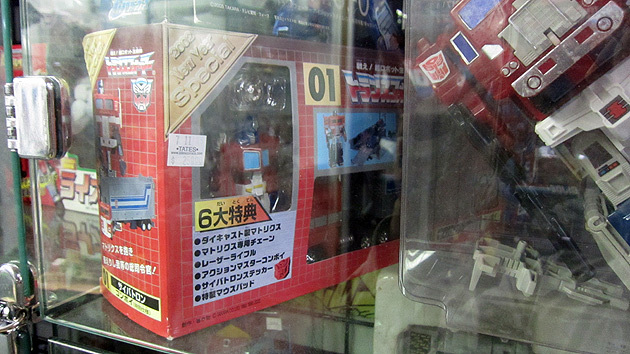 There's a New Years Special Convoy and a loose Powermaster Optimus. The only thing scarier than realizing New Years Convoy came out almost ten years ago is knowing Powermaster Optimus Prime is almost 24. I still remember seeing New Years Convoy for the first time at Botcon 2002 and Powermaster Prime for the first time at K-Mart on Zaragosa Road in El Paso in 1988. I ended up getting my PMOP from El Paso's first Toys R Us that same year. I hear they're going to close that store soon. That's going to be a sad day for me. Zaragosa K-Mart is still going strong, though. 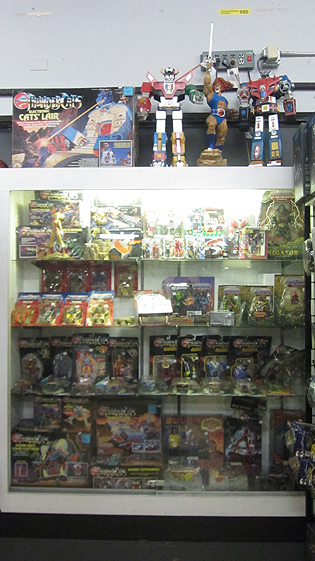 Speaking of still going strong, Tate's still has a ton of old Thundercats. It looks like that Snarf I had my eye on sold a long time ago. Oh well Voltron is my preferred space cat anyways and he was well represented in both vehicle and space lion form here. 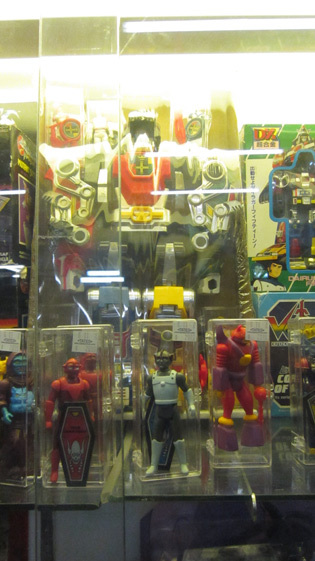 The Shogun Warrior jumbos stand on top of the case and a section of the top shelf is dedicated to Voltronians of an older vintage. 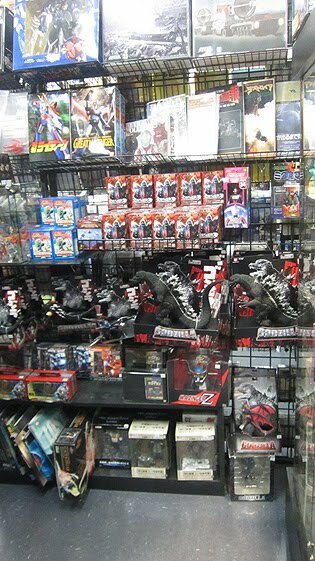 What was really impressive to me though were the Panosh Place action figure bad guys and the lion set. That's all the baddies there except for Robeast Scorpius. I guess Robot Chicken has made Scorpius the more sought after of the two Robeasts. Plus they had some sort of crazy ST scale Dairugger gifset with a pellet gun and Dairugger discs to shoot at. I'll do a Flickr album and dump all the pics I took so you can see everything here unedited and more old toys including more robots, some GI Joe, more Thundercats, some Masters of the Universe and lots of other stuff. ULTRA MAGNUS in: Trouble in Ohio! It's March 31, 1986 and a couple lions and some kind of weird monkey are on the loose! Who will stop them? Yes! It's Ohio Magnus! KILL 'EM ALL, OHIO MAGNUS! It's the 35th episode of the Roboplastic Podcastalypse and it's more fun than taking a Snowspeeder to the face! 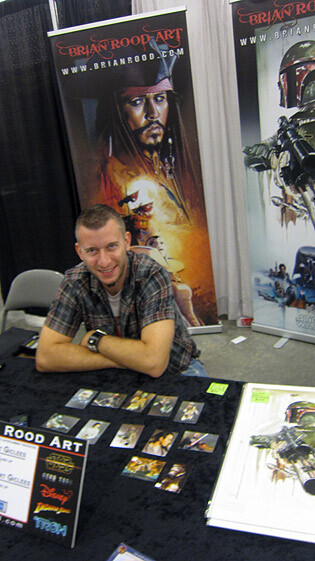 Yes it's a most Star Warsian adventure as the Nostrodomatron revenges returns to Texas for Fan Days IV with the new hope of talking to some people that know a thing or two about drawing robots. 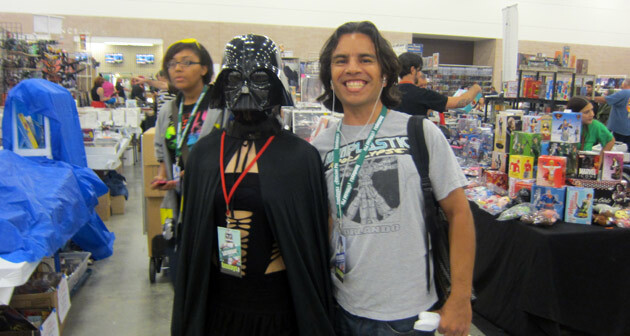 Are all Star Wars conventions really toy robots conventions in disguise? They are from a certain point of view! So join me for over an hour of shocking revelations like how they make those giant Transformer standees in the stores, who drew those lenticular cards they packed in with Transformers that one time and how much I paid for a potentially deadly Mattel Battlestar Galactica Colonial Viper in the dealer room! All this and more, much more in this "EVER SINCE THE OPERATION I'M YOUR MOM, TOO" edition of the podcastalypse! WEAR WHAT MUST BE WORN! I put up a ton more pictures of just about everything I mentioned in the show (and more) over at Flickr in a set called crazysteve at Fan Days 2011. Check it out if you wanna see more Star Wars fans, collectors, toys, costumes, artists, celebrities and Transformer coloring books from 1985 than you can shake a gimmer stick at. 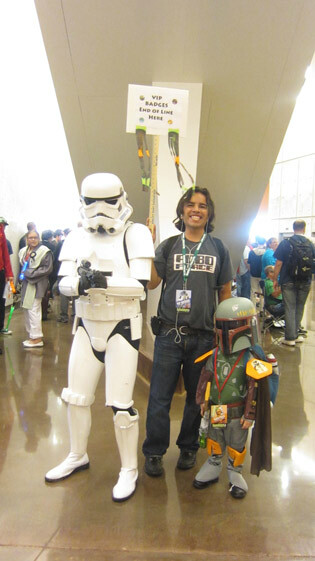 For even more convention pictures check out Dallas ComicCon's Facebook page. Fan Days has a bit of a reputation as a Star Wars convention but the organizers mix it up enough that you can be comfortable as a fan of just about anything and find stuff to do and people to meet. Being a bit of a robot fan I was able to find quite a few artists who had done illustration in an official capacity on a lot of my favorites like Voltron and the Transformers. 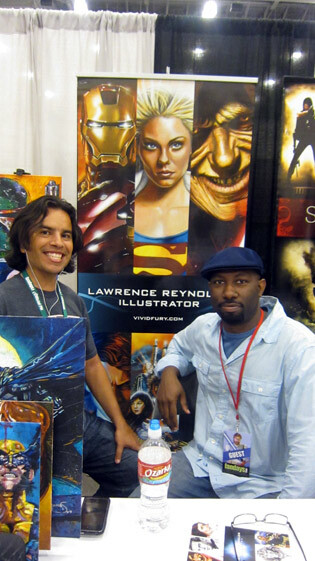 They were illustrators who worked on everything from Voltron cards and Transformer comics and packaging to the Dark of the Moon standees you see in stores wherever Transformer toys or movies are sold. It was awesome and I could tell they were happy to talk to me, which means I could also tell none of them have ever listened to the Roboplastic Podcastalypse. I've always felt like Star Wars collectors are the gold standard for the sharing and distribution of information among collecting communities. The panelists on the Star Wars collecting panel at Fan Days are a big reason for that. Steve Sansweet, Gus Lopez and Duncan Jenkins are so legendary that I'm a GoBots fan and I know who they are. So it was awesome to actually get to meet Gus and Duncan and pick up their book Gus and Duncan's Guide to Star Wars Prototypes. Star Wars is really lucky to have these guys and I even told them that. I said I wished GoBots had someone like them in its fandom. Then Duncan told me that I could be that person and after I did the work then I'd reap the benefits of having accomplished things for that fandom. I kind of laughed because while it would be cool to be the Duncan Jenkins of GoBots, I really want to be the Duncan Jenkins of the fandom where girls dress up in metal bikinis. Gus and Duncan were signing their books for free. This was great because the signed version is $20 more online. 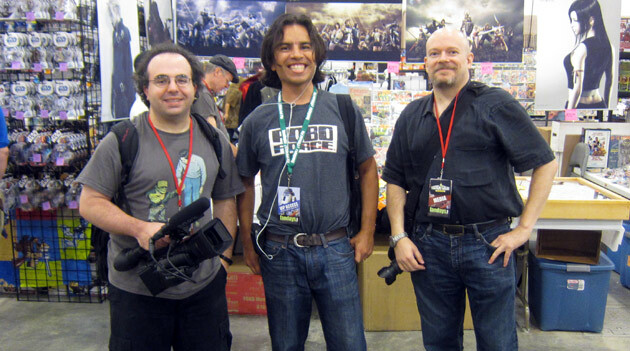 Fans active in the Star Wars collecting community will look at this picture and recognize Brian and Karl from the upcoming Star Wars collecting documentary Plastic Galaxy. 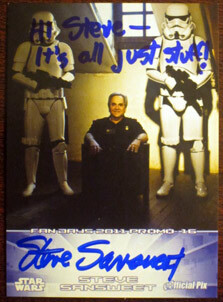 Then fans active in the Star Wars collecting community will look at this picture and wonder who the heck I am. 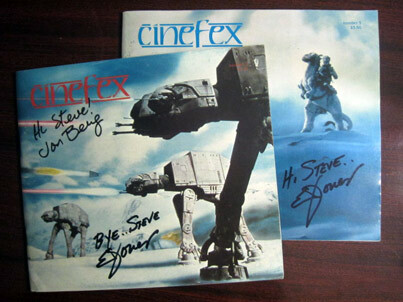 Double Steve autographs all the way across the page! They're so vivid! Fan Days is a go! 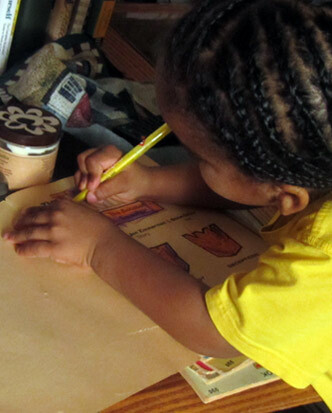 Watching my son color the old Transformer coloring books I got for him at Fan Days is the most insanely surreal experience I've had in a while. He's now as old as I was when I got my Shogun Warrior Dragun. It's like the Transformers stuff that came out when I was 11 are his Shoguns. I was thinking a modern four year old may be a bit too sophisticated for this old robot stuff but he told me he likes it. I half expected him to say it was too retro or something. It's weird how I can have childish interests but still have no idea what it's like to be a child.